We believe a Pastor is a Bishop and a "elder who labors in the Word and Doctrine" (I Timothy 5:17). According to the scripture in Ephesians 4, this assembly believes that Apostles, Prophets, Evangelists, Pastors, and Teachers as gifts given by God to the church, no longer function as such. The written Word of God (the Bible) replaces these "gifts". We use the word "pastor" to help those outside this assembly recognize our structure. Saved in May 1972 while a senior in high school. 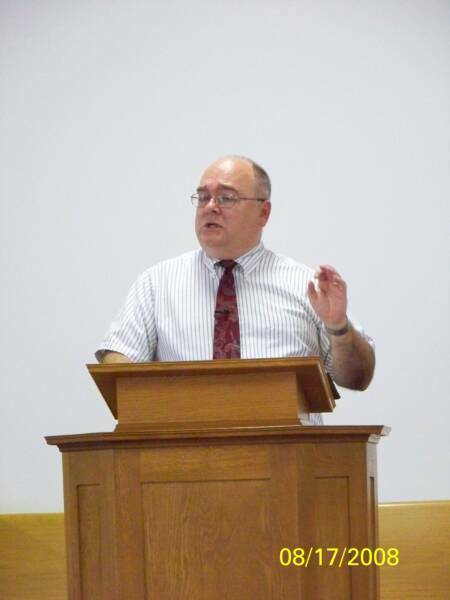 Began teaching Bible studies while a student at Morehead State University in Kentucky. Became part of Calvary Chapel of Costa Mesa, CA; attending their Bible School in southern California. Was ordained in 1977 by Maranatha Evangelical Association of Calvary Chapel of Costa Mesa, CA. Founded and served as Pastor, Bible Teacher/Elder in several churches for the past 32 years. Served as Operations Manager for a Christian television station in Lima, Ohio. Received a BS Degree in Human Resources Management from Geneva College in January 2004. Also received an Associate’s Degree in Letters, Arts & Sciences from Penn State University in 2001. Attended Ohio University, Morehead State University, and Calvary Chapel Bible School. Member of a grace dispensational church and ministry since 1997; Elder 1998 – 2004 at Grace Alive Ministries. Accompanied Dan Gross, President of Rejoicing in Grace Ministries of Racine, Wisconsin on a mission trip to Singapore, The Philippines, and India in December 2001 through January 2002. Preached in local churches and Pastor’s Conferences in Singapore, and in several cities in The Philippines and India. 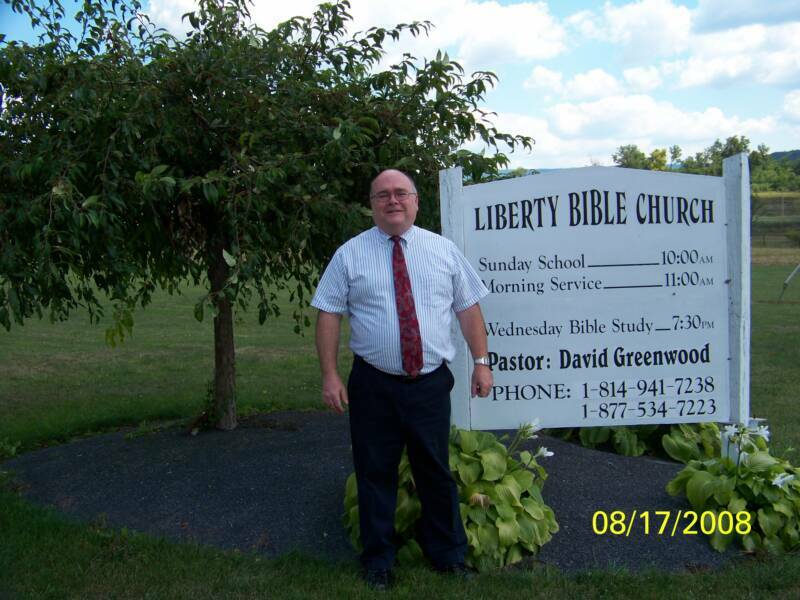 Became Pastor of Liberty Bible Church, Bedford, PA in August 2004. Also teach high school classes at Great Commission School in Altoona, a private, Christian school. Teaching History, Government, Speech, and Worldview.